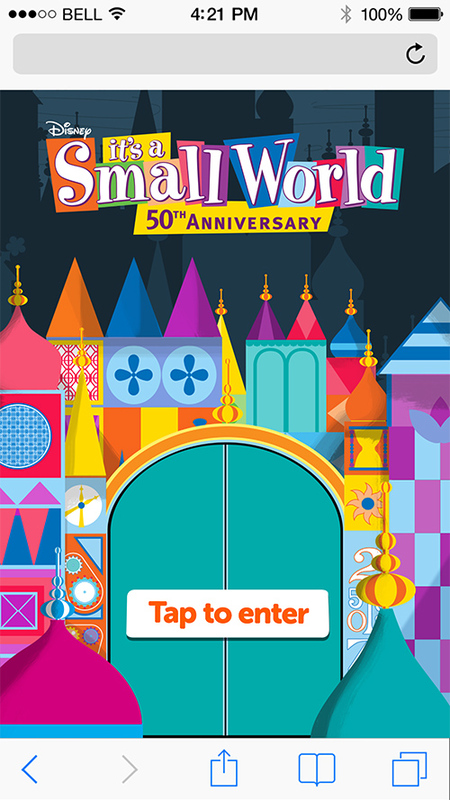 ‘Disney It’s A Small World Sing-along’ is an online global sing-along created to celebrate the 50th anniversary of “it’s a small world,” – the classic Disney Parks attraction that opened as a tribute to UNICEF’s work for children around the world at the 1964 New York World’s Fair. 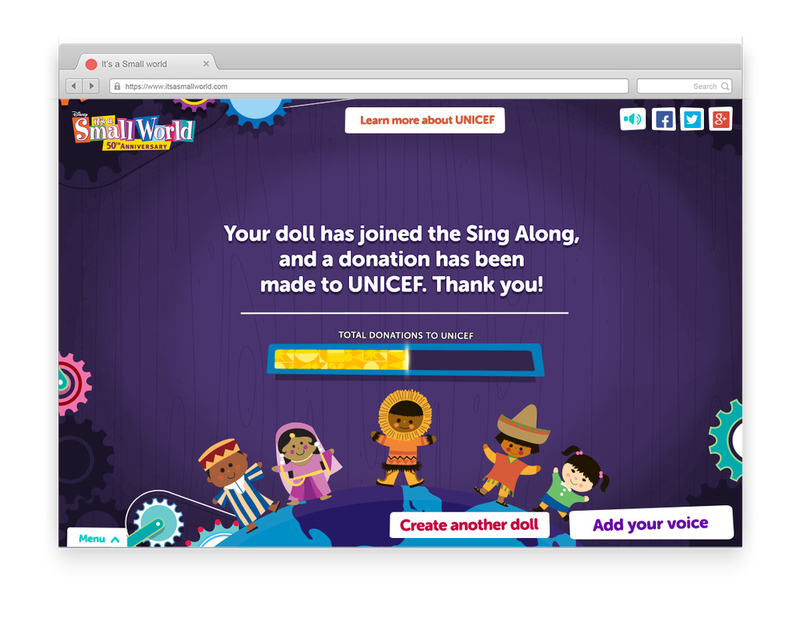 Users could participate in global campaign by recording and sharing an online video of themselves singing the song chorus on the site, as well as create virtual ‘It’s a Small World’ Dolls to share with friends. 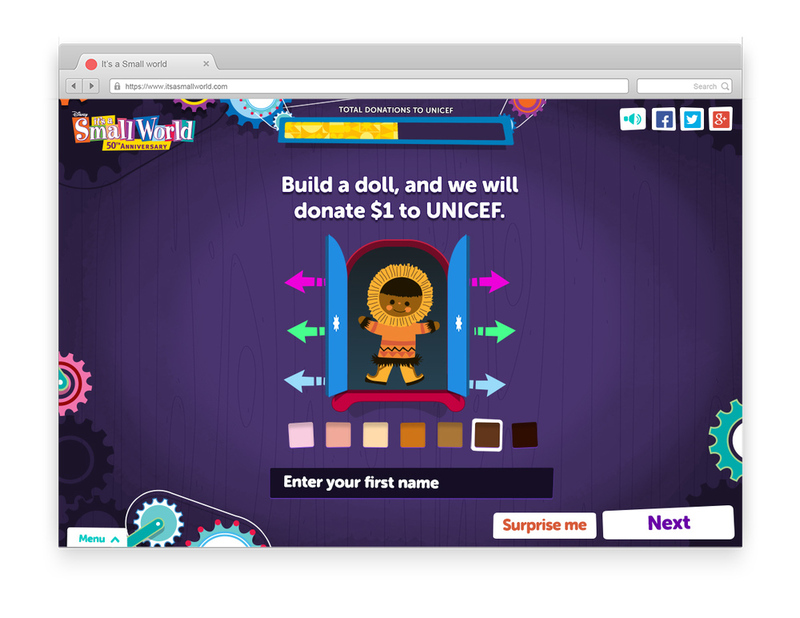 The Walt Disney Company donated $150,000 to benefit UNICEF in honour of the 50th anniversary of “it’s a small world,” plus $1 for every sing-along video recorded on SmallWorld50.com (offline) and another $1 for every virtual doll created on the website, up to $100,000. This sing-along was available in multiple languages so people from Disneyland Resort in California, Walt Disney World Resort in Florida, Tokyo Disney Resort in Japan, Disneyland Paris in France and Hong Kong Disneyland Resort were able come together to sing the unforgettable theme song.